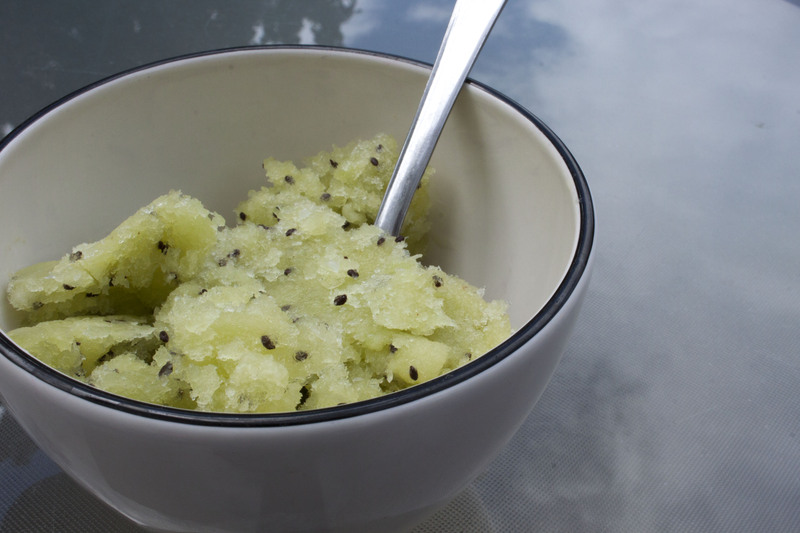 Fangirls, though this didn’t look nearly as cute as it did in my cookbook, this kiwi sorbet was incredibly tasty and not too bad for you! I loved making this, and I got to eat it for weeks after making it, because it lasted for quite some time, and made so much sorbet. So let’s get to it. To make the Lemon Simple Syrup, follow the instructions from Dumbledore’s Lemon Drop. 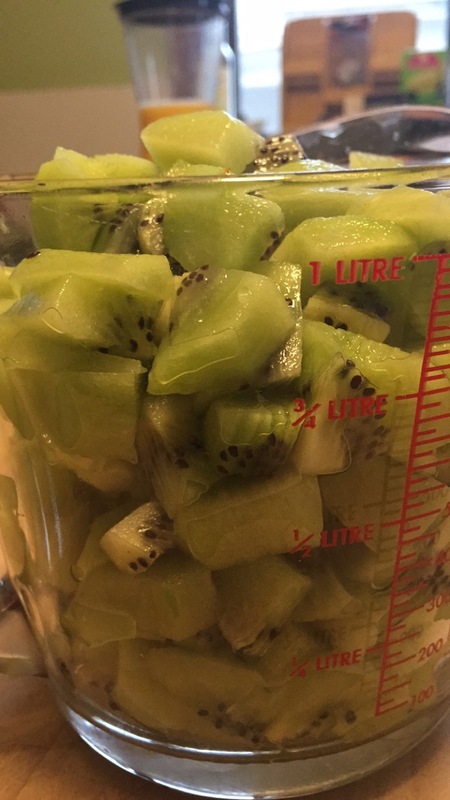 Then, peel and chop your kiwifruit. I needed help from my mum with the peeling because it was taking me forever. So having someone to help is highly recommended. 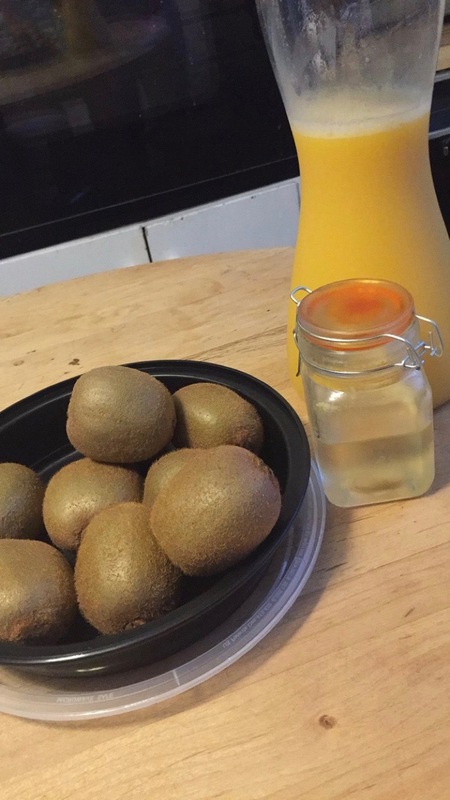 Dump your kiwi and oj into a food processor (I used our Magic Bullet). After that’s good and smashed, mix it in a bowl with the simple syrup. Once that’s mixed in, pop it back in your food processor. Then, pour it into a freezer safe container, and put it in the freezer for an hour. After that hour is up, throw it back in your food processor. Do this 2 more times, with an hour of freezer time in between each. Then freeze it overnight, and you should be good to go! I’ve found that this is a very healthy snack, and I don’t mind having it after breakfast as a brunch, because it satisfies my need for something sweet, along with giving me a healthy alternative to ice cream! I enjoyed making this, and I will be making it again as the summer goes on. 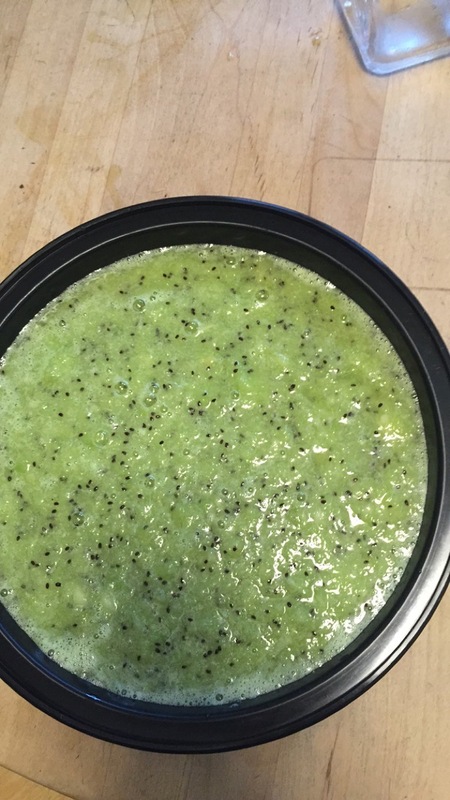 It lasts well in the freezer, since it’s frozen, and it’s something that would be good for summer parties. 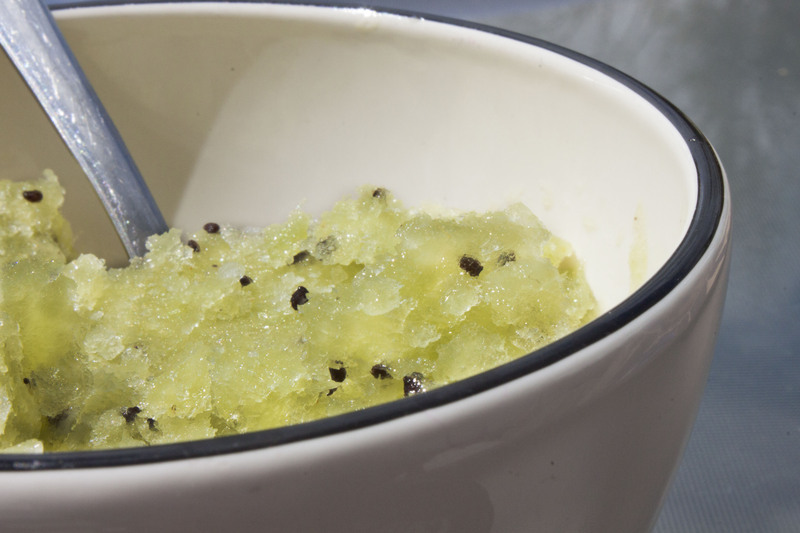 If you’re looking for a sweet treat for summer that won’t break the bank or your diet! Eat well, Fangirls!